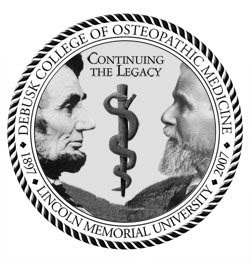 The next school I interviewed with was Lincoln Memorial University – DeBusk College of Osteopathic Medicine in Harrogate, TN. This was the one school that I really didn’t know much about. To be absolutely honest, LMU-DCOM was a school I applied to based solely on it’s name (who doesn’t want to attend a school named after Pres. Lincoln!?). Every other school that I applied to I knew something about, but not this one. I didn’t even know that DCOM was a brand new school until I talked to a friend at school whose brother lived out near LMU. 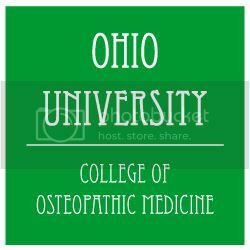 I had already received acceptance letters to LECOM and WVSOM before my interview day with the DeBusk College of Osteopathic Medicine. I already really liked LECOM and WVSOM and was questioning whether I should even head out to Tennessee to interview. Luckily, my friend had been out to the school and recommended that I go check out the school before I made any decisions. Since LECOM was the first school that I interviewed with I was not sure what to expect. LECOM’s interview is different from any other school I visited. I was interviewed by 2 doctors at the same time. One of them had a PhD and the other was a DO. The thing that made LECOM’s interview different was that neither of the interviewers had access to my file. LECOM’s admissions commity has the opinion that if you were good enough to receive an invitation for an interview then your interviewers should just get to know you. I found the interview to be very relaxed and actually enjoyable. The PhD interviewer was very friendly and loved to talk. Lecture track was very traditional but seemed to be the most time intensive in terms of the schedule they give you. Problem based learning was very intriguing and it also seemed very time intensive, but in PBL you get to set the majority of your schedule for yourself. PBL is a beast (good and bad) of its own and deserves a post all by itself. Independent study is a route that you get to set your schedule pretty much by yourself; however, many students reported that independent study was actually less independent than the PBL mode of learning. Erie, PA, was a very nice place. The peninsula that juts out into the lake was really cool. Many students utilized it as a place to relax. LECOM plays a big role in the Erie community and they have places all over town for students. One of the new places in Erie is the wellness center that should be finished in time for the incoming class of 2013. The fitness center is huge and the plans look very nice. LECOM has also renovated an old restaurant and turned it into a student center. Of all the schools I attended LECOM/Erie was the least rural and seemed to have the most to do. One other interesting thing I learned at my interview was that LECOM is starting a Seton Hill University branch starting summer 2009. The Seton Hill branch will be strictly PBL like Bradenton, FL.